With only three days before Opening Day, the Harrisburg Senators announced their initial roster today. A lot of familiar names dot the list as 14 of the 25 were here last season. The oldest player is 30-year-old pitcher Zach Jackson and the youngest is A.J. Cole who just turned 22 this past January. 16 players attended college, six came straight from high school, and three were international free agent signings. 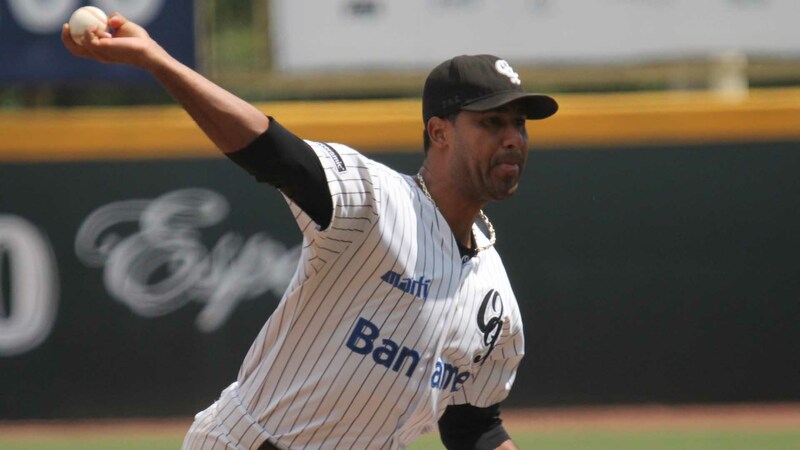 After washing out of affiliated ball in 2006 at the Low-A level, Alfaro has resurrected his career in the Mexican League with the Guerreros de Oaxaca. In 109 appearances over the last two seasons, he assembled a 2.60 ERA and even more impressive 11.25 K/9 rate. Bates was one of the workhorses in the Potomac bullpen for manager Brian Daubach last season. In 35 appearances, he worked multiple innings 21 times and managed to walk only eight out of the 249 batters he faced all season. A.J. Cole – RHP – 4th round of the 2010 Draft from Oviedo (FL) H.S. Cole returns to Harrisburg where he compiled a 2.18 ERA in seven stellar late-season starts holding opponents to a .188 batting average. If this were any other year, I would expect Cole to move up to Syracuse quickly. But short of a season-ending injury at the major league or Triple-A level, there’s no need to rush the talented right-hander through the system. Gilliam returns to City Island for the third straight summer and odds are good he’ll serve as the swingman for this pitching staff. Last season, Gilliam reduced his ERA with Harrisburg nearly two runs while most of his metrics (K/9, strike rate, GB/FB) stayed pretty consistent which leads one to think the marked improvement had a lot to do with luck. In what was his first season as a full-time reliever in 2013, Grace struggled down the stretch with a very disappointing August (7.71 ERA, .407 OBA). We should see a return to form for the southpaw in 2014. Fresh off a very successful winter league stint that saw him anchor the bullpen for his Puerto Rican team in the Caribbean World Series, expect Herron to get the bulk of the save opportunities for the Senators. In past years, Holland would probably have been in line for a promotion to Triple-A, but with a seemingly never ending supply of quad-A arms assigned there he’ll return to Harrisburg. The sidewinder posted his worst season against right-handed batters and will need to regain his effectiveness against them to earn a ticket to Syracuse. The Seneca Valley HS (Harmony, PA) product was used primarily as a closer last year for the first time in his career and he flourished in the role for the Northwest Arkansas Travelers pocketing 18 saves with a 1.38 ERA. 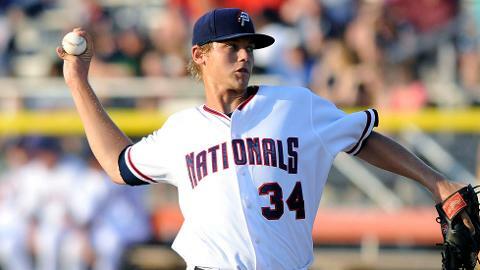 You won’t find Mirowski’s name in Baseball America’s top 30 Nationals’ prospects. Worse yet, you won’t find his name listed anywhere on the minor league depth chart in the publication either. There are 12 right-handed relief pitchers listed and only one of them (Wander Suero) posted numbers below Mirowski in 2013 for ERA (1.83), WHIP (.919), and opponent batting average (.185). There’s only so much disrespect a man should have to take. After spending last postseason on the active roster but unused, I’m shocked Perry is still in the organization. If he didn’t have the trust of the coaching staff or stuff to compete, I’m not sure what has changed over the winter. For his sake, I hope the issue was that he wasn’t 100% healthy. This season will hopefully mark a 100% return to health for the gangly southpaw. After undergoing shoulder surgery in August 2012, Purke made 18 starts between Hagerstown and Potomac last season but was still not the pitcher that dominated in his freshman season at TCU. The 22-year old lefty was a linchpin of the deal with the Rays as Nationals GM Mike Rizzo said he would not have made the trade if they had not included Rivero. The lithe southpaw has a live arm but needs to work on command and control of his fastball as he walked almost four batters per nine innings last season at High-A Port Charlotte. As the lone member of the rotation not in Baseball America’s top 30 Nationals prospects, Schwartz will fly under the radar of most casual observers. He shouldn’t. Just two summers ago, the right-hander was struggling in his first five professional starts in the Gulf Coast League. 34 appearances later (2.62 ERA and 1.079 WHIP) and Schwartz is poised to impress at Double-A. Leon starts his third straight campaign back on City Island. Although he disappointed with the bat last season, his assignment here instead of Syracuse is just a matter of not splitting time behind the dish with Jhonatan Solano. Harrisburg gives him the opportunity to play 5-6 days a week and if Ramos or Lobaton goes down for any length of time, I would figure he would get plucked from Double-A. Canham is a veteran journeyman catcher who has previously been with the Padres, A’s, Cardinals, and Royals organizations. 323 of his 571 career professional games have been at the Double-A level, so Harrisburg should suit him just fine. Canham hits from the left side of the plate which will reduce the number of at-bats Leon sees from that side which is a very good thing considering Sandy hit a full 100 points lower (LH .142 vs. RH .242) with an OPS 255 points lower (LH .449 vs. RH .704). Bloxom returns to the Senators and is expected to see time at first base as well as designated hitter. His approach at the plate improved last season and as a result he drew a career-best 73 walks. Hopefully, Bloxom can continue his progress with what are bound to be less at-bats this season. Much like his father, Dykstra is a grinder on the ballfield. He easily posted a career high in walks last season with 77 while cutting down on his strikeout totals and owns a career 78% success rate on stolen bases. Although Dykstra will likely be the starting third baseman, both Hague and Skole are slated to see time at the hot corner as well. 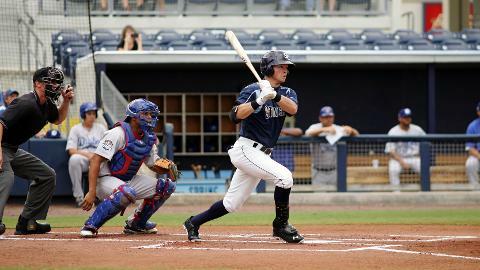 Hague returns to City Island a year after primarily manning second base for the first time in his professional career. Although, I don’t know if Hague is happy to be back as he only hit .214/.267/.305 at Metro Bank Park and .273/.332/.414 everywhere else. In two previous instances of starting the following season where he finished the previous one, Martinson has dramatically improved each time. I would expect the same from the shortstop in 2014. He’s always going to strike out at a huge clip (454 times in the last three seasons), but he won’t be so overwhelmed with the Eastern League this time around. 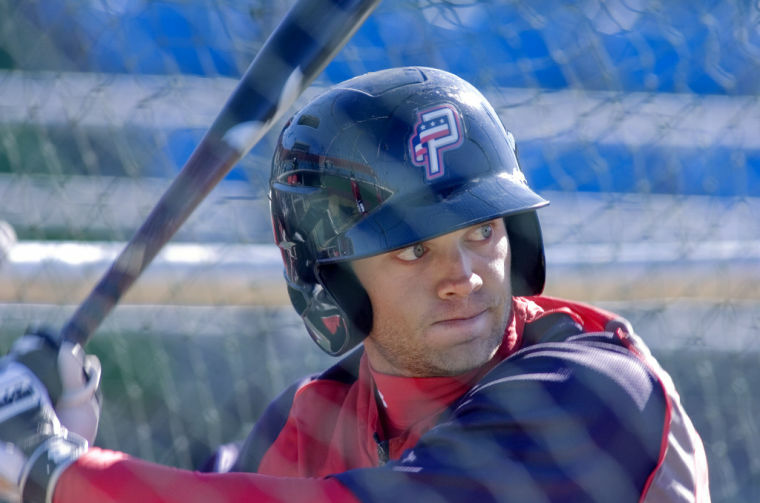 Despite a scorching hot month of August last season that manager Matt LeCroy rode throughout the playoffs, Nicol returns to Harrisburg to fill the utility role he has occupied during his pro career. I know lots of fans will be glad the perennial favorite is back in the midstate. Skole’s 2013 season was cut short after just two games when he broke his wrist and tore his UCL in an unusual injury while playing first base. The corner infielder worked his way back in time for the Arizona Fall League where he hit .375 with three home runs in 49 at-bats. If he adjusts to Double-A, Skole just might throw his name onto the short list as one of the best power hitters in Senators’ history. Word out of Spring Training is that Hood has really been a different guy so far. If he can maintain whatever he worked on over the winter throughout the season, we may finally get a chance to see the naturally gifted talent and skillset blossom. Ramsey has made a steady climb up the organization with a proven mix of power and speed that has the potential for double-digit home run and stolen base totals. His ability to play all three outfield positions also gives Harrisburg much needed flexibility. Like most young players, Double-A will be a good test for Ramsey. Taylor has drawn comparisons to Adam Jones and Mike Cameron and according to manager Brian Daubach has the chance to be the best defensive centerfielder we’ve seen as a Senator. Originally drafted as a shortstop, Taylor has used his speed and instincts to make a seamless transition to the outfield while racking up 51 stolen bases last season. A good year at Double-A might push him ahead of Brian Goodwin in the Nationals’ long-term plans. Vettleson, one of three players the Nationals acquired in the Nate Karns trade, has also impressed on the Viera backfields. The former ambidextrous pitcher has some pop (15 home runs in the Midwest League in 2012) and some speed (45 stolen bases in three professional seasons) that will fit in nicely in this lineup. This entry was posted in Uncategorized and tagged AJ Cole, Blake Schwartz, Caleb Ramsey, Colin Bates, Cutter Dykstra, Destin Hood, Drew Vettleson, Felipe Rivero, Gabriel Alfaro, Harrisburg Senators, Jason Martinson, Justin Bloxom, Matt Grace, Matt Purke, Matt Skole, Michael Taylor, Mitch Canham, Neil Holland, Richie Mirowski, Ricky Hague, Rob Gilliam, Ryan Perry, Sandy Leon, Sean Nicol, Tyler Herron, Zach Jackson. Bookmark the permalink.